Dr. Patrick Hsu is a leading board-certified plastic and reconstructive microsurgeon who is the founder and CEO of Memorial Plastic Surgery. Dr. Hsu founded Memorial Plastic Surgery with a vision to create a practice employing the most talented and well-trained reconstructive surgeons, employing cutting edge techniques and delivered in state-of-the-art facilities. Every surgeon and staff at Memorial Plastic Surgery has been selected to be part of the team because they share in Dr. Hsu’s core patient-first philosophy. 50% of Dr. Patrick Hsu’s practice is focused and dedicated to breast reconstruction. Based on his elite credentials and extensive experience, his approach is to provide artful guidance to every client’s reconstructive and enhancement needs. Dr. Hsu executes with surgical precision and meticulous attention to detail, which consistently yields the most beautiful and natural results for each individual patient. Most importantly, Dr. Hsu’s commitment to patient care extends beyond post-operation to ensure the safest, quickest and most comfortable recovery. Dr. Patrick Hsu grew up in Short Hills, New Jersey and began his training at Rutgers College where he received a Bachelor of Science and then received a Master of Science in Biochemistry and Molecular Biology from Albany Medical College. Dr. Hsu received his Medical Degree from UMDNJ – Robert Wood Johnson Medical School, where he graduated as President of his class and with highest honors and distinction, including receiving the Rudolph Camishon Award for Academic Excellence in Surgery and being named Alpha Omega Alpha for excellence in scholarship and the highest ideals in the profession of medicine. This represents the top 5% of each medical school class and Dr. Hsu is proud that all of the partners at Memorial Plastic are also members of the Alpha Omega Alpha society. Following medical school graduation, Dr. Patrick Hsu attended the prestigious Michael E. DeBakey Department of Surgery at Baylor College of Medicine, regarded as one of the most rigorous and competitive programs in the country for surgical training. Dr. Hsu completed his plastic surgery fellowship at UMDNJ-Robert Wood Johnson and with a strong interest and compassion for breast cancer patients, Dr. Hsu then dedicated an additional year to a second fellowship in Microsurgery at the world-renowned M.D. Anderson Cancer Center. 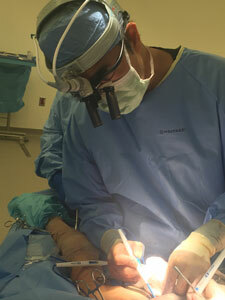 There he trained in all aspects of reconstructive surgery with a heavy focus on advanced techniques in breast reconstruction to include the DIEP and SIEA flaps. 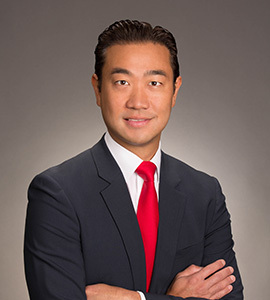 Dr. Patrick Hsu is regarded as an educator due to his breadth of knowledge in a wide array of plastic, reconstructive and aesthetic surgical procedures, where he has been published in advocating for patient safety in cosmetic surgery. He has been named TOP DOC numerous times in his thus far short and illustrious career. 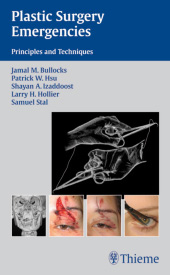 He also co-authored, Plastic Surgery Emergencies: Principles and Techniques, a textbook currently used to train clinicians, residents, and trainees in plastic surgery, as well as emergency room personnel, on principles and procedures for rapidly evaluating and treating acute care problems in the emergency room setting or during on-call consultations. Dr. Hsu looks forward to meeting you at Memorial PlasticSurgery.